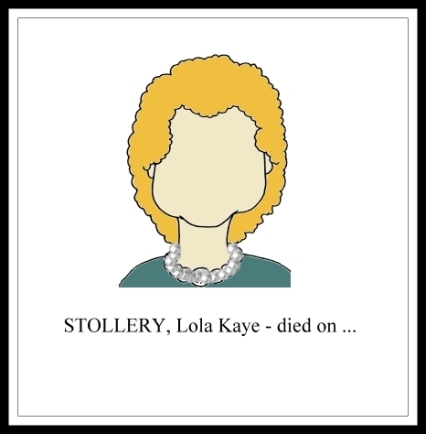 ﻿Bruce Goodman's "Oh bitchery obituary"
STOLLERY, Lola Kaye – Passed away on … At Lola’s request, a private cremation has been held. A brief memorial will be held at the Witherton Hall on… No flowers by request – a bottle of red instead. Typical Lola! Oops! It was the notice the family intended to use. Somehow it had inadvertently slipped into the newspaper ahead of time.